HOUSTON–The terrorist shooting attack and bombings at Istanbul airport on June 28, 2016 kept many travel security professionals around the world up all night. Foreign security officials responsible for the health and safety of overseas spectators and participants at the 2020 Tokyo Olympic Games may wonder if the airports in Tokyo can be the targets of terror attacks during the Tokyo Summer Games. Sad to say, the airports in Tokyo are thought to be just as vulnerable to a terrorist attack as any other major airport in the world. By way of background, Tokyo has two major airports. Haneda Airport which is located close to the center of Tokyo and approximately 10 miles away, handles primarily domestic flights, although it has a significant number of international flights as well. And Narita Airport, located much further from downtown Tokyo, is approximately 45 miles away. The Narita airport handles about 90% of the foreign flights serving Tokyo. And although it handles relatively little traffic now, authorities say the Ibaraki Airport will likely be used during the Tokyo 2020 Olympics to handle the large number of foreign travelers expected to visit Japan. The Ibaraki Airport is smaller than either Haneda Airport or Narita Airport and is also approximately 45 miles from central Tokyo. Although recent history reflects neither of the three airports have been a terror target, the Narita Airport is no stranger to a terrorist attack. Perhaps the most notorious and ambitious terrorist plot to target Narita Airport is the so-called Bojinka plot of 1995. In that plot, Terrorists planned to simultaneously explode bombs mid-air on airplanes that departed from Narita Airport as well as airports in Taiwan, Hong Kong, Singapore, South Korea, the Philippines, and Thailand. As noted in the linked Wikipedia article, preparing for the Bojinka plot, terrorists exploded a bomb laden plane in mid-flight in Japanese airspace traveling from Manila to Narita Airport. 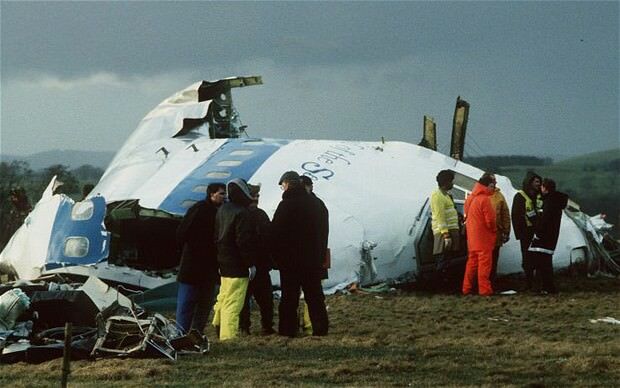 The pilot skillfully landed the plane, but the blast killed one passenger. In 1985 a bomb was also loaded on a flight from Vancouver, British Columbia, Canada to Narita Airport that exploded in the terminal building killing two baggage handlers. Similarly, terrorists planted a bomb on an Air India flight traveling Canada to the UK. Approximately an hour after the explosion at Narita Airport, the bomb laden Air India flight crashed … leaving no survivors … near Ireland. In 1982 a Pan Am flight bound for Hawaii that departed from the Narita Airport also suffered a bomb blast approaching Honolulu International. The aircraft suffered major damage but the crew was able to land it safely. The blast killed one passenger and injured 16 others. At the time of the Pan Am incident, Narita was one of the most heavily guarded and policed airports in the developed world. The linked Wikipedia article discusses violent protests carried out against the airport’s operation as does an article in the Japan Times mentioned here. Security measures at the Narita Airport, also experienced by the writer, included an off-airport security check for individuals headed to the airport and strict checks of all passenger baggage. Stationed at the U.S. Embassy in Tokyo, positioned as the FBI’s Legal Attaché, the writer recalls several instances where security at the Narita airport was compromised. Looking to enter the U.S. illegally, hoping to find a job, traveling aboard a U.S. carrier from an Asian country to Narita, the writer remembers two subjects who hid themselves in a service area above the ceiling of one of the aircraft lavatories. Several hours later the plane left Narita enroute to the U.S. with the stowaways still aboard. Exiting the lavatory in midflight, the stowaways hoped to find two empty seats. But alas … no luck, the plane was full. Discovered, the plane returned to Narita and the vagabonds were arrested. Needless to say, the stowaways had false passports which they planned to use to enter the U.S. In another instance involving All Nippon Airways Flight 61, departing Haneda Airport on July 23, 1999, the writer recalls a hijacker temporarily took control of a Boeing 747 inflicting fatal injuries on the pilot before he was subdued. The hijacker, Yuji Nishizawa, used a knife he smuggled onto the plane. Monitoring security procedures at several Japanese airports, planning his attack, authorities said Nishizawa discovered a way to smuggle a knife through security. Details concerning the attack can be seen in the aforementioned hot linked Wikipedia article. The writer thinks a terrorist planning an attack at a Japanese airport and/or aboard a plane during the upcoming 2020 Tokyo Olympic Games is a real possibility and security officials must be ready to handle the threat. EDWARD C. SHAW is a retired FBI Special Agent (25-years) who resided in Japan for approximately fifteen  years, speaking fluent Japanese. An Assistant Legal Attaché, assigned to the U.S. Embassy in Tokyo, Japan, enjoying two tours of duty totaling nine  years, Mr. SHAW was the FBI’s official representative in Japan, responsible for working with Japanese law enforcement, and their security, and intelligence agencies. While in Japan his assignments included locating and apprehending international fugitives, conducting espionage investigations involving spies and doing sensitive reviews concerning national security issues. Because his assignments took him to every prefecture in Japan, Mr. SHAW is well-acquainted with Japanese law enforcement, and their intelligence and security agencies, and very familiar with their objectives, bureaucratic habits, and most importantly how they interact with their foreign counterparts. Speaking on security issues facing would be travelers, readers can look forward to Mr. SHAW posting articles here about the upcoming Tokyo Olympic Games looking for helpful tips thinking about attending the games.